Considered the best there was in his day, Billy Walker's reputation as one of Villa's all-time greats will be forever secure. A one-club man, he remains Villa's all-time top scorer and also represented England 18 times (three as captain), with nine goals to his name, including one on his debut. He was an FA Cup winner with Villa in 1920 (scoring two in the semis) and runner-up in 1924, and League runner-up twice, in 1931 and 1933. Walker went on to manage Sheffield Wednesday and Nottingham Forest, winning the FA Cup with both (in 1959, his side beat Villa in the semis). It may seem unfair to condense a brilliant footballer's career into just numbers, but in Walker's case, the stats tell their own story. As a teenager he scored 80 goals in 1910-11 in the Walsall Boys' League. Graduating to Wednesbury Old Athletic, he once scored nine in a 40-minute period. He played his first senior game for Villa in January 1920, scoring both goals in a 2-1 FA Cup win over QPR, and went on to score 15 in the league before the summer break. He started up again in August with four goals against Arsenal and proceeded to net in each of the season's first five games. Season-on-season the goal glut continued; 31 in 1920-21; 27 in 1921-22; 23 in 1922-23; 25 in 1924-25; 22 in 1925-26, hat-tricks against Bradford, Derby, Huddersfield, Preston, West Brom, Newcastle, Port Vale, Burnley ... the Bradford treble was unusual in that all three were penalty kicks! in 1922-23 he scored 18 in a run of just 16 games. 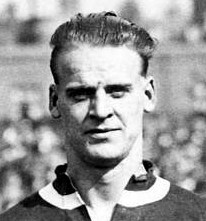 By the time he kicked his last ball for Villa in 1933 he'd racked up 214 league goals for the club - just one short of Harry Hampton's all-time record - but adding in his 30 FA Cup goals, his unequalled tally came to 244. History will never forget the unstoppable Billy Walker - arguably the greatest of all Villa's celebrated number 9s.